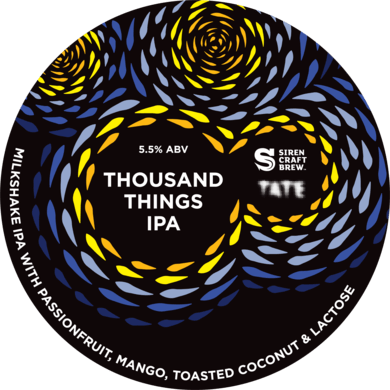 Inspired by Vincent Van Gogh and created in collaboration with Tate Eats, this Milkshake IPA is ambitious, innovative and most importantly, delicious. Coconut, passion fruit and mango work in harmony to deliver full-on fruit with a cocktail vibe. Cypress wood (strongly associated with Van Gogh) tempers the sweetness and makes this beer eminently drinkable.